We are giving away a pair of tickets to Brown Stallion @ The Goodfoot on February 7. To win, comment on this post why you’d like to attend. Winner will be drawn and emailed Wednesday, February 6. Brown Stallion is a Ween tribute band out of Portland and Eugene, Oregon. 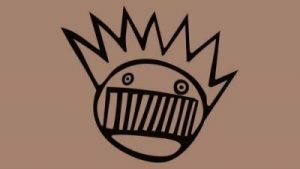 Made up of seasoned musicians who are truly Ween fans, their shows draw from the full catalogue of Ween songs and are imbued with the spirit of the Boognish. Take me to Chocolate Town vis Brown Bay! Baby baby baby brown stallion, let’s conquer the goodfoot! Baby baby baby brown stallion, go conquer the goodfoot! My best friend is obsessed with Ween and while we have never seen Brown Stallion, what a better time then now! So many people in the neighborhood, pick me.